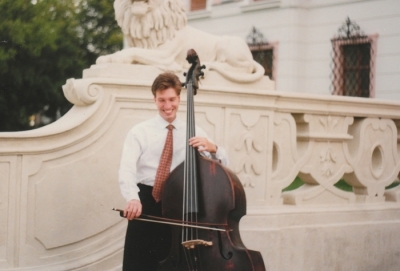 Zsolt Fejérvári studied with Zoltán Tibay and Péter Kubina at the prestigious Liszt Academy of Music in Budapest. 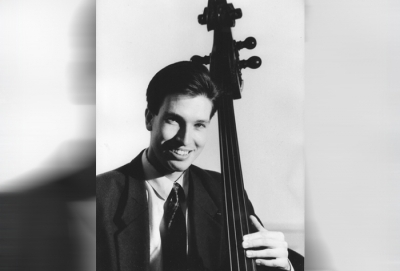 Still a student of the Academy, he was awarded with a special prize at the International Competition of Markneunkirchen and became principal double bass player of the Munich Chamber Orchestra. 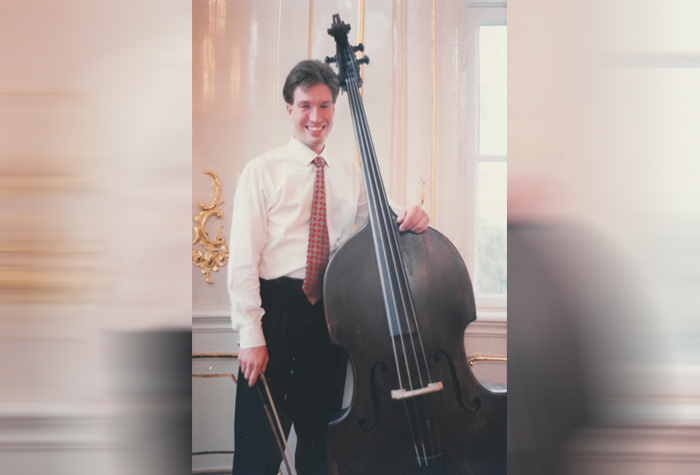 Between 1994 and 2000 he lead the double bass section of the Budapest Festival Orchestra, followed by three years spent in Switzerland with the Suisse Romande Orchestra. 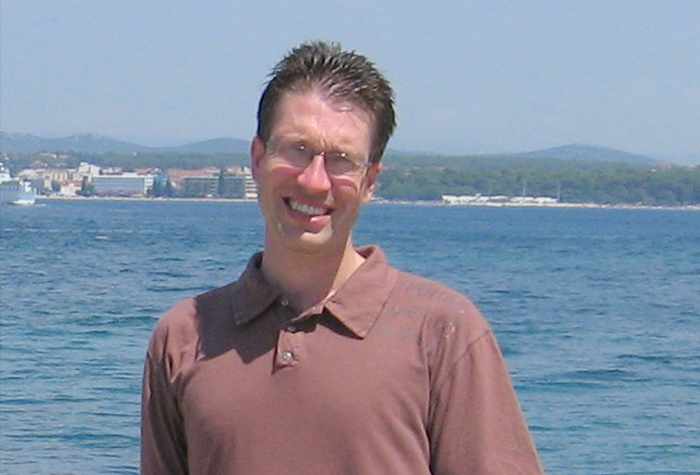 Since December 2002 he has been member again of the BFO. 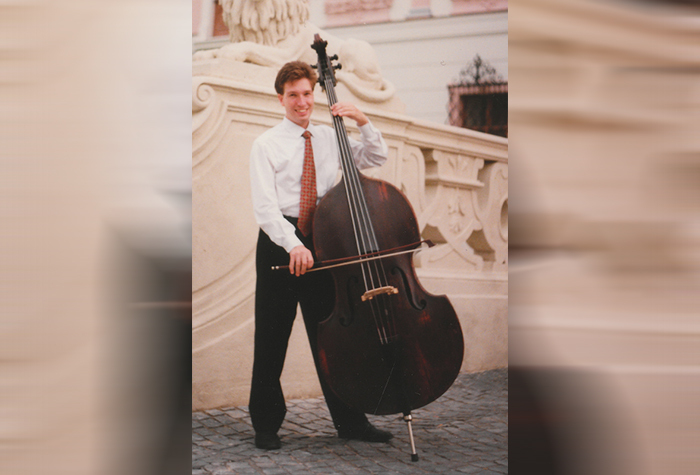 On his first Hungaroton recording he plays concertos for double-bass and orchestra from Sperger and Vanhal (both friends of Mozart) with the Erkel Ferenc Chamber Orchestra. In 1996 he won the Second Prize of the Giovanni Bottesini International Competition in Cremona (no first prize awarded) , in 2003, 2007, 2009 and 2014 the Sándor Végh Competition of the Budapest Festival Orchestra. 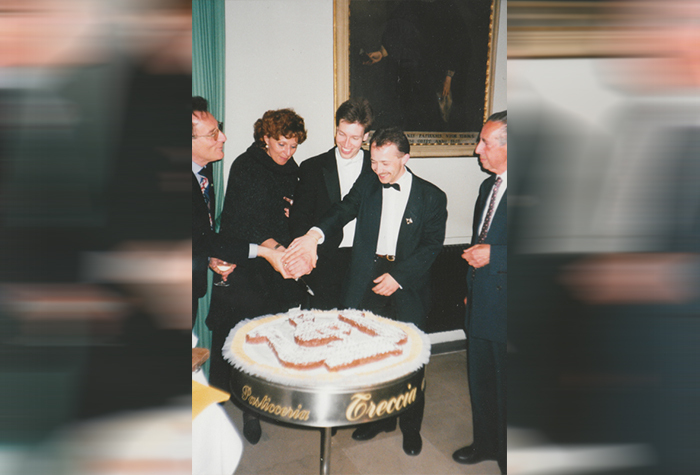 In 1996 he was personally invited by Maestro Sir Georg Solti to the World Orchestra for Peace, in which 78 players of the world's leading orchestras celebrated the 50th anniversary of the United Nations Organisation. He plays regularly with his friends, the Franz Liszt Chamber Orchestra, the Kodály Quartet (their recording at Naxos of the Octet of Bruch won several nominations and prizes), the Akadémia Quartet and the Auer Quartet. 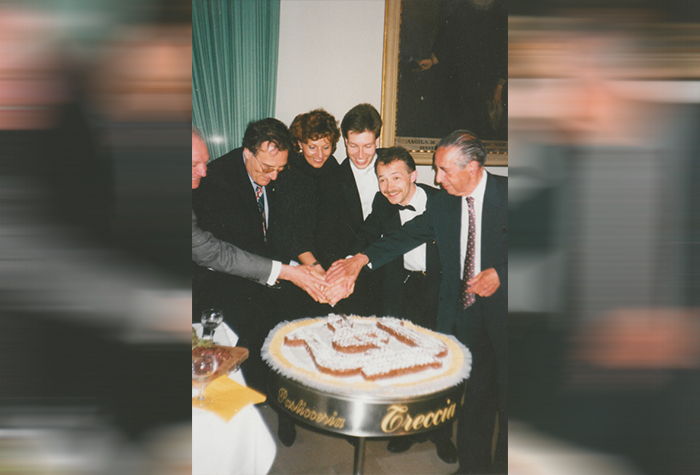 His chamber music partners were among others: Nicolas Altstaedt, Kristóf Baráti, Diego Chenna, Jonathan Cohen, László Fenyő, Balázs Fülei, José Gallardo, Zoltán Gál, Márta Gulyás, Giovanni Guzzo, Alina Ibragimova, Nobuko Imai, Zoltán Kocsis, György Konrád, Alexei Ljubimov, Yuri Martinov, Csaba Onczay, Mikhail Ovrutsky, Alina Pogostkina, Zoltán Rácz, Gustav Rivinius, Rafael Rosenfeld, Adam Römer, Vilmos Szabadi, Gábor Takács-Nagy, Milan Turkovic, Alexei Ogrintchouk, Alexander Rudin, István Várdai, Tamás Varga. 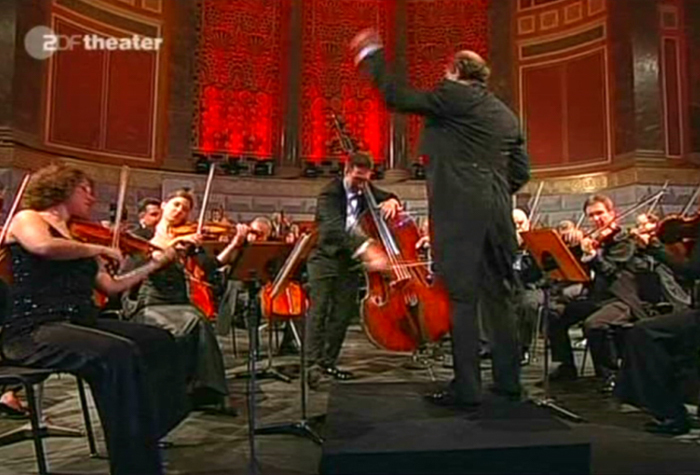 He has been invited to the Chamber Orchestra of the Musikdorf Ernen (György-Sebök-Festival, in Switzerland), as well to the Philharmonia Végh led by András Keller. 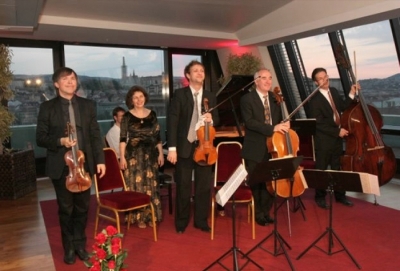 He is regularly invited to András Schiff's own chamber orchestra, the Cappella Andrea Barca, to the Camerata Bellerive, Geneva led by Gábor Takács-Nagy, to the Kaposvár International Chamber Music Festival (Kaposfest), as well to the Lockenhaus Chamber Music Festival (founded by Gidon Kremer, artistic director: Nicolas Altstaedt). He is member of Hungary's top ensemble for contemporary music, UMZE. 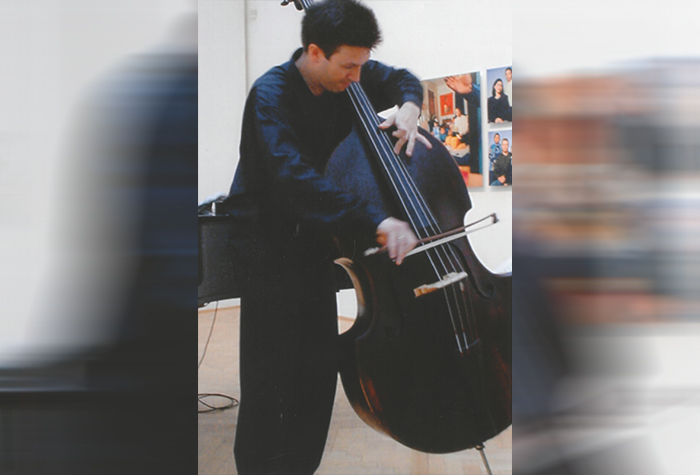 He played several times as soloist of concertos for double-bass with world-famous conductors like Iván Fischer, Mark Wigglesworth, Leonidas Kavakos, Gábor Takács-Nagy. He is Co-President of the Hungarian Bassists Society and member of the International Sperger Society. 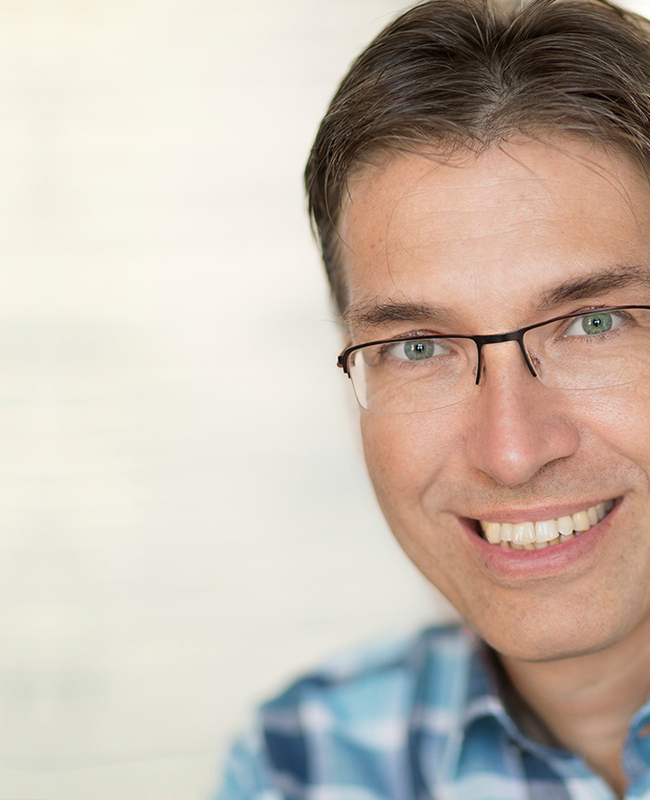 Zsolt Fejérvári has been recently appointed as teacher at the Ferenc Liszt Academy of Music, Budapest. Zsolt Fejérvári plays a wonderful bass made by the master of the 19th century, Brücknert, offered to the Budapest Festival Orchestra by Lord Rothermere, in 1995. On his solo appearances he plays a solo tuned bass built especially for him by the young and incredibly talented German master Stefan Krattenmacher. Bottesini, G.: Fantasia sulla „Beatrice di Tenda"
Nach Norbert Duka meldet sich nun ein zweiter ungarischer Kontrabassist mit einer Soloaufnahme zu Wort: Zsolt Fejérvári, Jahrgang 1968, erster Bassist im Budapester Festival Orchester. 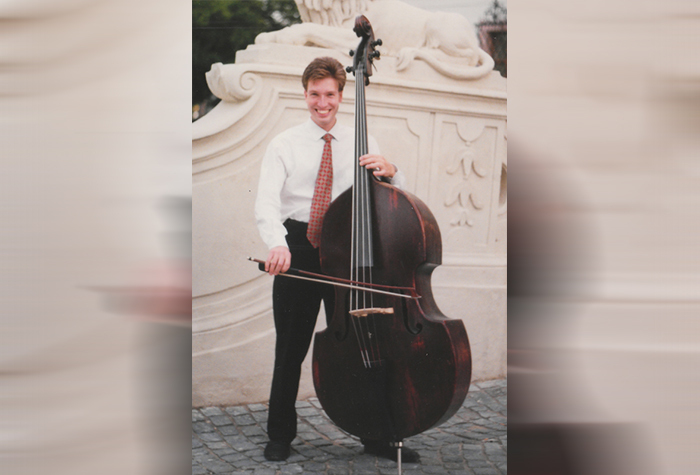 Er war mit 23 Jahren bereits Solobassist beim Münchner Kammerorchester und gewann den begehrtenBottesini-Baß-Wettbewerb in Cremona. 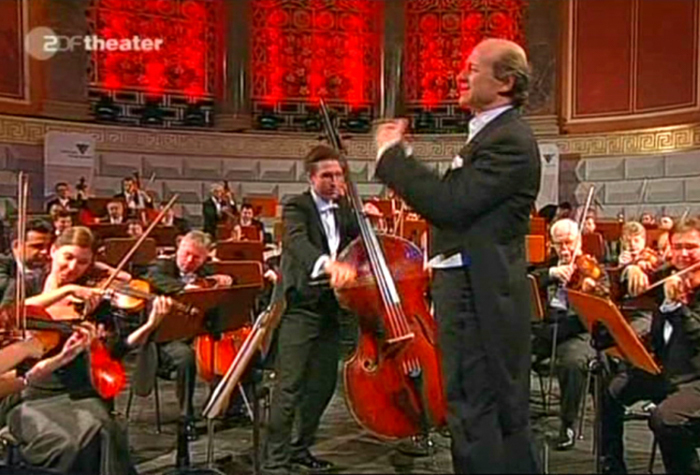 Die höchste Auszeichnung aber war es wohl, daß ihn sein Landsmann Sir Georg Solti in das „Weltorchester für den Frieden" berief, in dem 8 Musiker aus allen führenden Orchestern der Welt zum 50-jährigen Jubiläum der Vereinten Nationen musizierten. Sein Spiel auf der neuen CD aus Ungarn (Text nur ungarisch und Englisch) verrät wirklich seine Sonderklasse: eine große Musikalität gepaart mit schöner Tongebung und exzellenter Technik. Er verzichtet auch auf jedwedes Schnaufen und Atmen, wie man es sonst von Aufnahmen bei diesem schweißtreibenden Geschäft vernimmt. Wie er die heiklen Stellen im Rondo der Beethoven-Sonate g-Moll meistert, das grenzt an Zauberei. 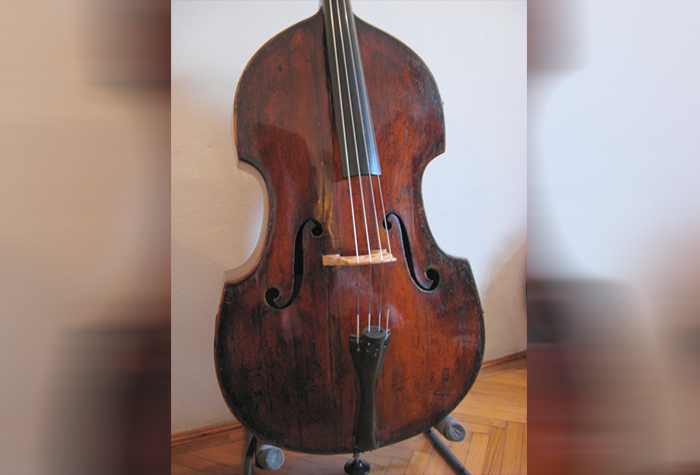 Dabei versucht er nicht krampfhaft, das originale Cello zu kopieren, sondern besinnt sich auf die Qualitäten, Möglichkeiten und Grenzen seines Instruments. Drei Sonaten hat Fejérvári aufgenommen, die alle irgendwo eine Berechtigung mitbringen, auf dem Baß gespielt zu werden. Die G-Dur-Sonate von Bach ist eine der drei Gambensonaten, und wer will abstreiten, daß der Kontrabaß von der Gambenfamilie abstammt? Schuberts „Arpeggione"-Sonate wird hauptsächlich von den Bratschern und Cellisten vermarktet. Die Mehrsaitigkeit des Originals führt auch zum Baß, den es immerhin in der Version als Fünfsauer gibt. Beethoven selbst soll den italienischen Bassisten Domenico Dragonetti am Klavier begleitet haben, als er dessen g-Moll-Sonate spielte. Angeblich war er so gerührt, daß er beide umarmte, den Spieler und das Instrument. Am Flügel begleitet die Pianistin Anikó Noväk, eine sehr versierte Künstlerin, der man anmerkt, daß Kammermusik ihre Domäne ist. Für diese Aufnahme ist sie sicher ein Glücksfall, wenn sie auch unverschuldet zu sehr im Vordergrund ist. Wenn man an dieser durchaus empfehlenswerten CD etwas aussetzen will, so liegt das sicher nicht im Bereich der musikalischen Gestaltung, sondern allein an der Aufnahmetechnik. Der Baß fällt schon in der Mittellage weit hinter den Klavierklang zurück, in der Tiefe scheppert es bisweilen, weil nicht richtig ausgesteuert wurde, nur in den oberen Lagen kann sich der Bassist wirklich behaupten. Das ist ein Problem, das eigentlich längst als gelöst abgehakt wurde: man kann den Baß durch spezielle Stützmikrofone klanglich so auspolstern, daß die Balance zum Klavier gegeben ist. Daran müssen die Preludio-Studios noch arbeiten. Die Künstler hätten es verdient. In the third movement [in Mahler's First Symphony in the Carnegie Hall] - with its funeral march - the principal double-bassist played beautifully, and so did the bassoon, and so did others. But that heavenly G-major section, so smooth and transporting? Max Bruch was 82 when he wrote his Octet, and Felix Mendelssohn was 16 when he wrote his. Bruch had a career as a conductor, a composer, and a teacher, but even after living the equivalent of two of Mendelssohn's lifetimes (Mendelssohn died at 38) he could not write an Octet to compare with Mendelssohn's. It is rather poignant to think about Bruch in 1920, at the end of his life, still writing in the style of the 1820s and still trying to write as well as Mendelssohn (who was himself trying to write as well as Mozart, Beethoven, Bach, and Handel). These musicians give both pieces their best collective shot, and the resulting reading is extremely fine: resonant, articulate, clear, expressive, and full of all kinds of contrasts in texture. 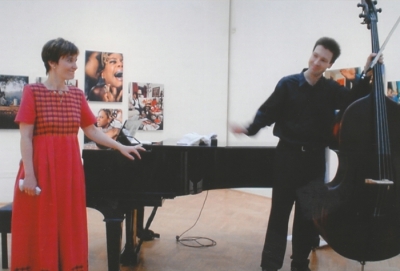 It is well recorded to pick up both the individual voices and the blend of voices. They do their best with the Bruch, but even the finest playing of the piece is not enough to raise it to the level of excellence that Mendelssohn reached at the tender age of 16. 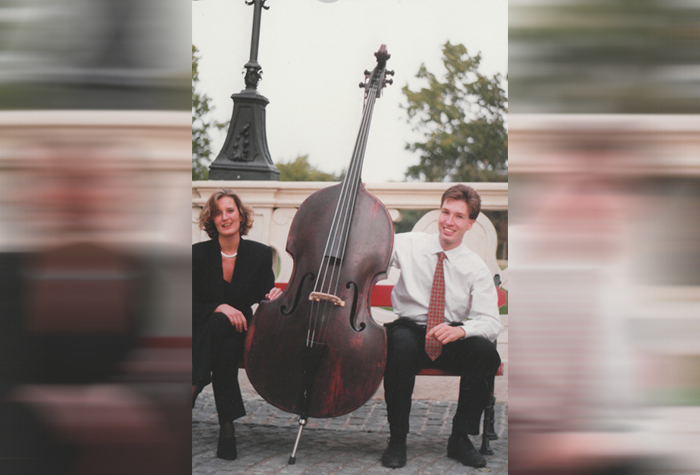 The Kodály and Auer Quartets join forces to produce these exceptionally enjoyable performances of the Mendelssohn and Bruch Octets (the latter joined by Zsolt Fejérvári on the double bass). The combined ensembles sound of uniform mind and spirit in both works, playing with a sense of joyous abandon in the Mendelssohn and sinewy vigor in the Bruch. The rich string tone lends an ingratiating warmth to the collective sound, while the players' impeccable musicianship assures that every note registers, even in the many rapid ostinatos that comprise much of the Mendelsson. The Kodály and Auer play from the heart as well as the head, certainly so in their delicate phrasing in the tender slow movements. 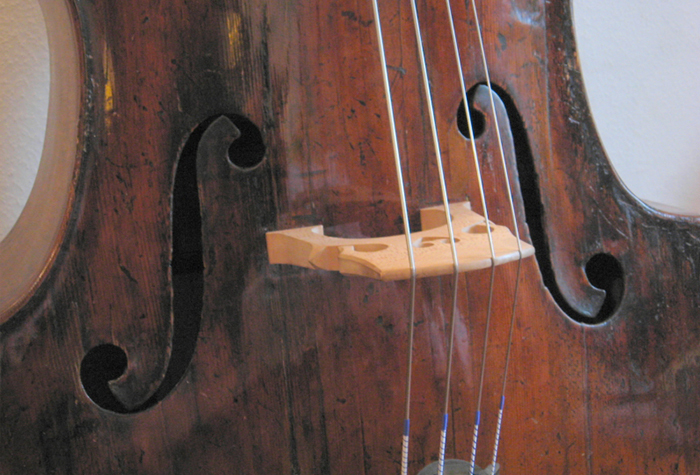 Naxos' close-perspective recording keeps the performers at a comfortable distance while providing ample space for the string timbres to naturally resonate. This one's an easy recommendation: beautiful, stimulating music, marvelous performances, and excellent recording all at the Naxos price. What more could you ask for?" "Vanhal műve kellemes, gáláns zene. Jó értelemben véve egyhangú. Spergeré kevésbé egységes, nagyobb eszköztárral kisebb hatást ér el. Az előadás azonban kiváló. Fejérvári Zsolt csodálatosan bőgőzik, bársonyos, finom hangzással, biztos technikával. A lemezt hallgatva nem kérdés, alkalmas-e ez a sokszor elhanyagolt és lenézett hangszer a szólista szerepre, zenekarral való versengésre - legalábbis lemezen és megfelelő akusztikájú teremben. Az elfelejtett, könyvtárakból előásott könyvek közt kevés az igazán érdekes, ám ha ilyen kiváló előadásban szólalnak meg, azonnal magukkal ragadják a hallgatót. Az Áldor Lili és Lesták Bedő Eszter vezette kamarazenekar igényesen, felkészülten kísér, lágy modoruk illik a koncertekhez. First - és first class - recording." "...the concert was nothing short of revelatory. In part, the [Budapest Festival] orchestra draws its generous, zaftig sound from the basses. Where other ensembles relegate them to the side of the stage, Mr. Fischer places them on a raised platform at the rear of the orchestra, where they offer a big-brother embrace to the rest of the players..."
"... Annál hatásosabban érvényesült Vanhal E-dúr nagybőgőversenye, melyet Fejérvári Zsolt előadásában hallgatva nem csupán egy kitűnő kompozíció, de egy ígéretes előadóművész felfedezésének is részesei lehettünk. Fejérvári, akiről a műsorfüzetben az állt, hogy zeneakadémiai tanulmányai és a Müncheni Kamarazenekarnál eltöltött két év után 1994 óta a Fesztiválzenekar szólamvezetője, egyszerűen levette lábáról a közönséget. A lelkesedés jogos: az utóbbi években néhány fiatal magyar nagybőgős koncertjeiről írva, többször nyugtázhattam örömmel az újabb generációnak azt a törekvését, amely mintha minőségi változást igyekeznék előidézni a hangszer hazai kultúrájában. Most azonban Fejérvári teljesítményével akaratlanul is összehasonlítva őket, úgy találom, valamennyiük játékából hiányzik valami. Ez a fiatal muzsikus olyan harmóniában tárt elénk hangszeres perfeciót, kerekded formálást és kiegyensúlyozottan szuggesztív karakterizálást, nehézkes instrumentumán keresztül olyan könnyedén s olyan közvetlenséggel érvényesítette a darab priméren zenei mondanivalóját, s legfőképp oly természetes egyszerűséggel sugározta magából a zenélés örömét, hogy az minden elismerést megérdemel. Jó volna őt mihamarabb önálló esten, kamarazenészként is hallani." 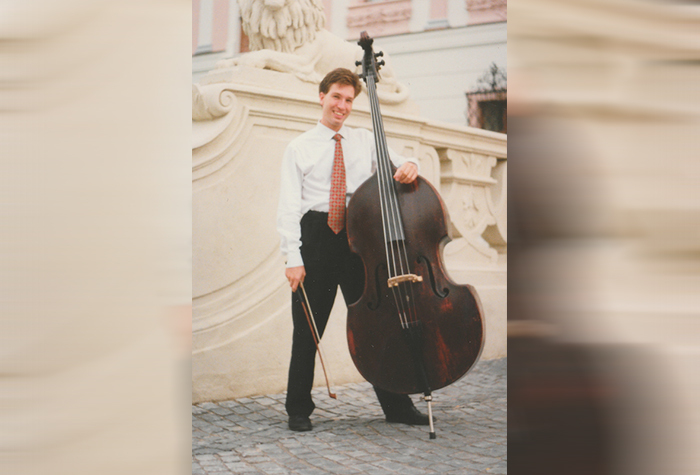 This recording by talented young Hungarian bassist Zsolt Fejérvári features Sperger's Concerto No. 15.in D Major and a fluid and spirited reading of the "classic" Vanhal Concerto. Fejérvári's reading of the Vanhal is as good as any I have heard, and there is an ease to his playing, which belies the not inconsiderable challenges. The Vanhal, likewise, gets a vibrant and animated reading, and this recording may considerably enhance the concerto's appeal and acceptance. Sadly, so few of the eighteen concerti that Sperger wrote have hitherto been published, but they form a fascinating glimpse at the development of the form, written through his career, most notably during his employment at Pozsony, then later at the Mecklenburg-Schwerin court. The trumpet and timpani in the orchestration are at times very reminiscent of Haydn, and the Erkel Ferenc Chamber Orchestra sound excellent throughout the disc. 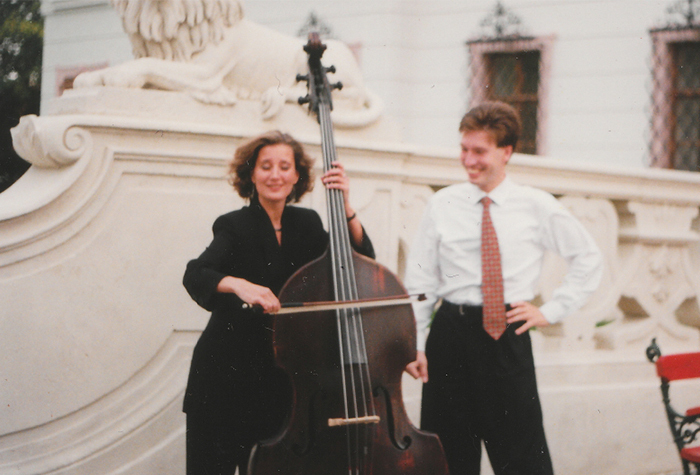 The principal bassist of the Budapest Festival Orchestra, Fejérvári's first release in 1996 featured sonatas by Beethoven, Bach and Schubert, and he can also be heard on the Kodály Quartet's recording of the Bruch Octet. 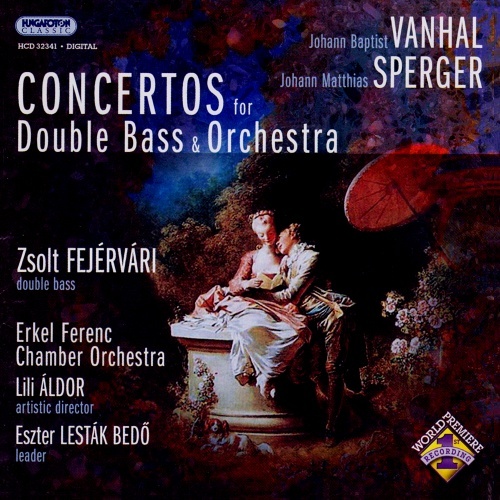 Concertos for Double-Bass and Orchestra is highly recommended. Scroll down and click on the selected images in the gallery to open! Érintse meg a képet és mozgassa balra / jobbra!